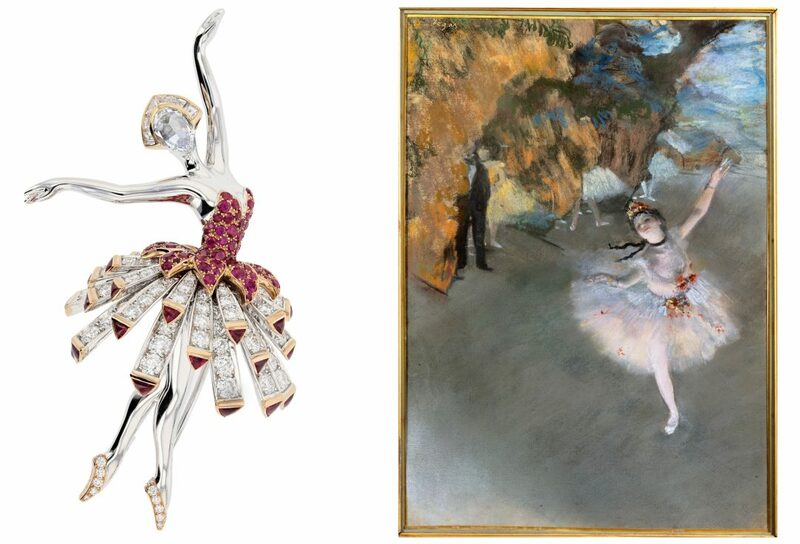 With lustrous diamonds and rubies, the dancer radiates on the Tutu Plumes Pin from jeweler Van Cleef & Arpels' Ballerina Collection; The ethereal qualities of the ballerina's movements in the iconic pastel drawing of the 1878 The Star-The Dancer On Stage, by French painter Edgar Degas, exemplifies the impressionist objective of capturing the fleeting moments of modern life. Photo: Left photograph courtesy Van Cleef & Arpels. Right photograph by Herve Lewandowski; ©RMN-Grand Palais/Art Resource, New York. The angelic yet unsettling photograph, Kristen (1996), by Inez and Vinoodh embodies the interplay between glamour and horror—typical of the photographic duo’s work. 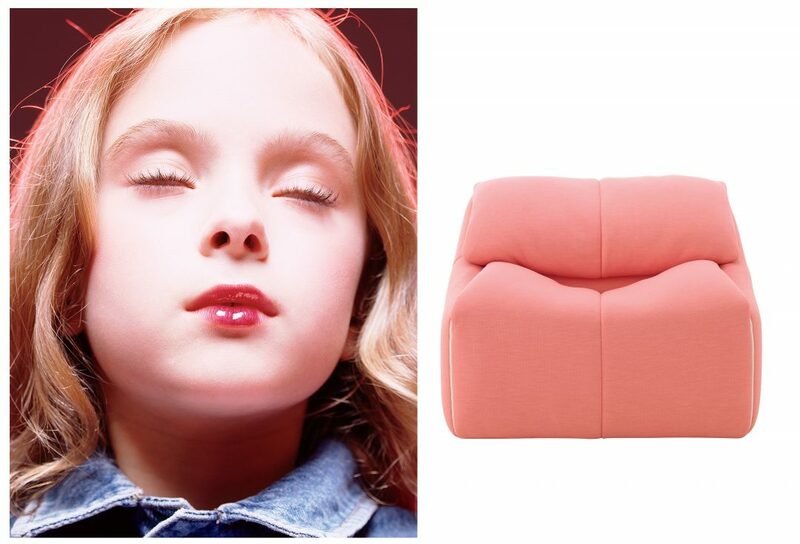 Right: The reissue of Ligne Roset’s plush and playful Plumy chair, designed 35 years ago by French designer Annie Hieronimus, fluently blends the old with the new. Photo: Left photograph by Inez and Vinoodh; courtesy Trunk Archive. Right photograph courtesy Ligne Roset. 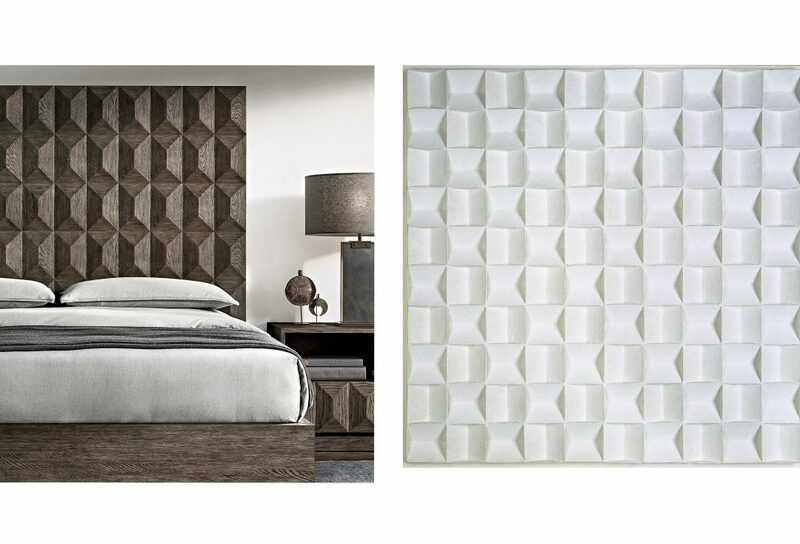 British designer Richard Forwood drew from the 1970s European brutalist style when designing Restoration Hardware’s richly dimensional Geometric Platform Bed, in ash brown oak; Jan Schoonhoven’s 1967 work Relief of Squares with Double Inclined Planes Diametrically Broken embraces light, form, and volume in the sculptural paper wall relief. Photo: Left photograph courtesy RH. Right photograph courtesy Collection Stedelijk Museum Amsterdam; Jan Schoonhoven sculptural wall relief ©2016 Artists Rights Society (ARS), New York. 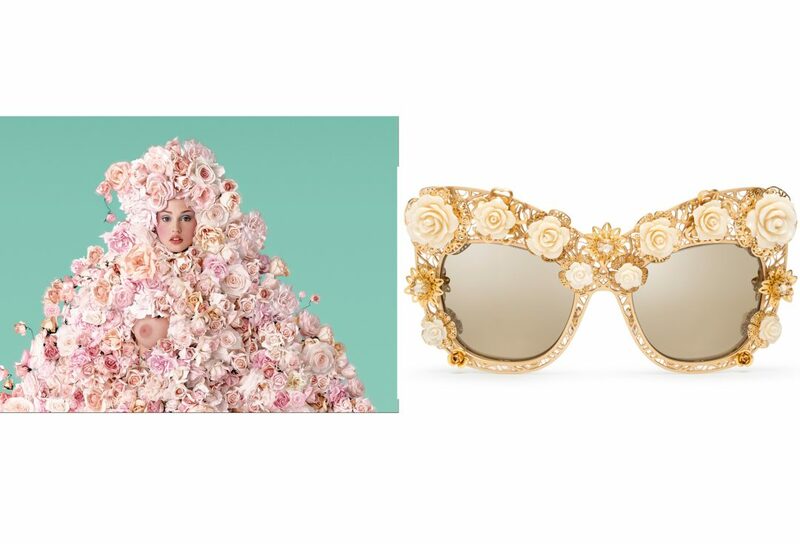 Canadian actress and model Estella Warren is enveloped in a delicate heap of roses in Jean-Paul Goude’s photograph, Jeune Fille En Fleurs, originally shot for the French fragrance brand Cacharel’s 1996 advertising campaign; Cream-colored roses and golden Baroque applications decorate the oversize butterfly frames of these limited-edition sunglasses from the Italian fashion brand Dolce & Gabbana’s 2016 Flower Lace collection. Photo: Left photograph ©Jean-Paul Goude. Right photograph courtesy Dolce & Gabbana. 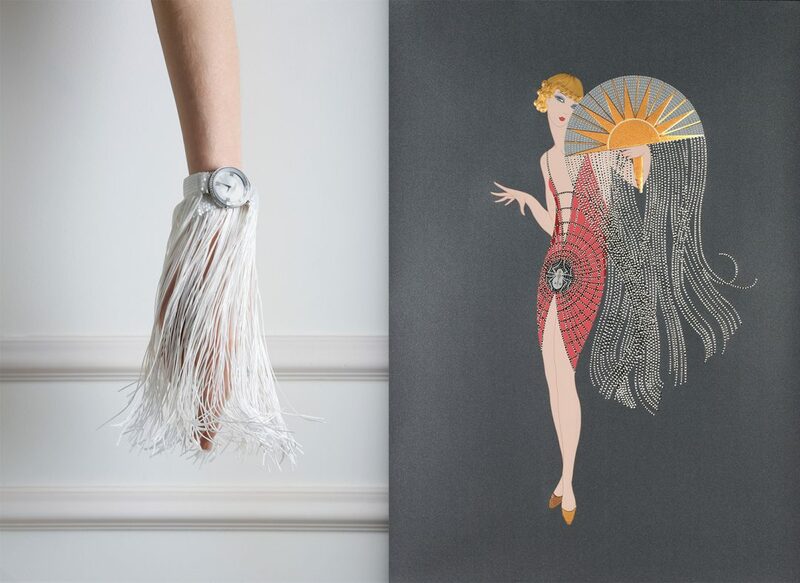 The Mysterious Promesse timepiece from Baume & Mercier's Les Exceptionnelles collection incorporates the theme of fringe to celebrate imagination and free-spiritedness; The alluring dress and playful fringed fan, featured in the Flapper serigraph by the Art Deco fashion illustrator Erte, was an original costume design for the 1927 reproduction of Manhattan Mary at the Majestic Theater in New York. Photo: Left photograph by Magali Girardin. Courtesy Baume & Mercier. Right photograph courtesy ©Chalk + Vermelion Fine Arts and Sevenarts, Ltd. Erte Serigraph ©Sevenarts, Ltd/Artists Rights Society (ARS), New York 2016. Valentino’s vibrant Medallion-Beaded Block-Heel Sandal, available at Bergdorf Goodman, features an intricate illusion-block heel; French New Realist artist Niki de Saint Phalle’s vivid color silkscreen, Volleyball, is a joyful depiction of one of her famous Nanas, which represents the artist’s ideal of the modern woman. Photo: Left photograph courtesy Bergdorf Goodman. Right photograph by Andre Morain; courtesy Niki Charitable Art Foundation/ARS. 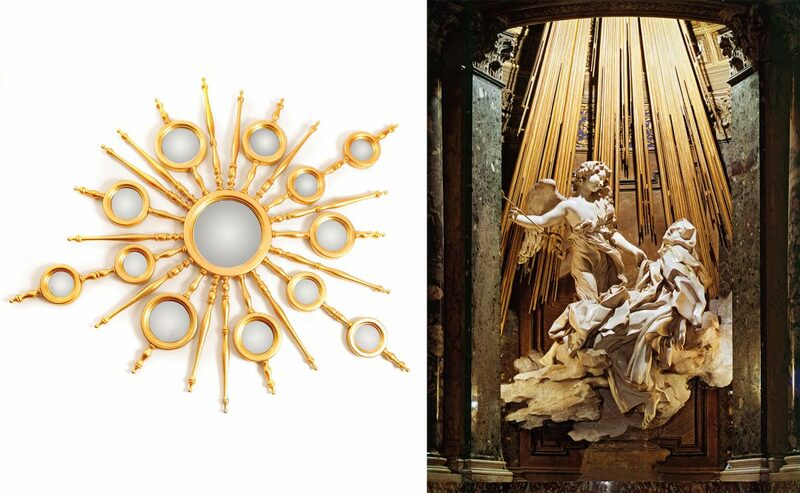 The sublime gold leaf finish and starburst shape of the handcrafted Apollo mirror by the Portuguese design company, Boca do Lobo, celebrates the Olympian god of light and sun; Spiritual enlightenment is depicted in The Ecstasy of Saint Teresa, by Gian Lorenzo Bernini, an extraordinary 17th-century Baroque sculpture. Photo: Left photograph courtesy Boca Do Lobo Design Studio. 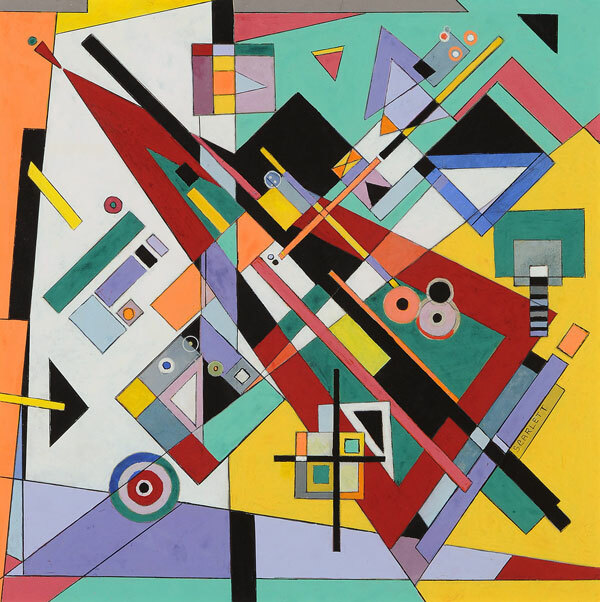 Right photograph by Scala/ArtResource, New York. Psychedelic colors and hypnotic patterns, signatures of the brand, are brilliantly showcased in Missoni Home’s custom-made Fleury carpet, available exclusively through Stark; The 2007 round painting, Flowerball Pink, by contemporary Japanese artist, Takashi Murakami, features whimsical, cartoon-like flowers inspired by the popular graphic art forms of Manga and anime. Photo: Left photograph courtesy Stark. Right photograph ©Christie's Image/CORBIS. 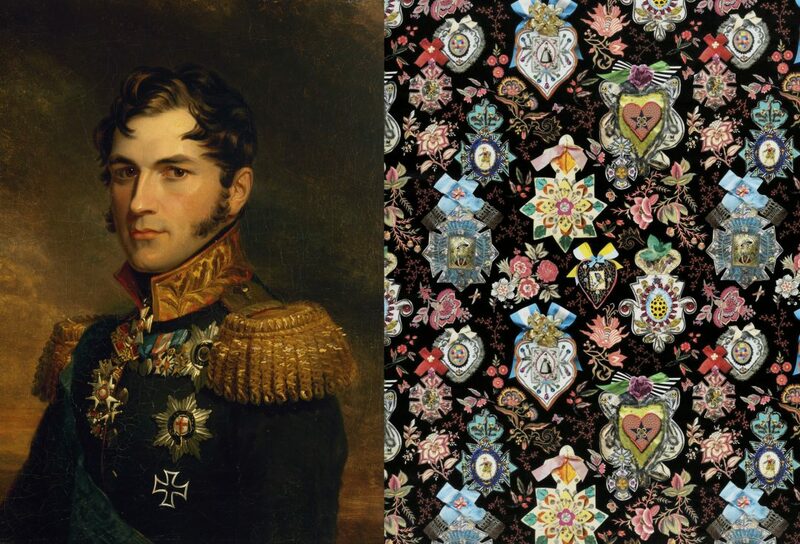 The Portrait of Leopold, Prince of Saxe-Coburg (1790–1865), by the English artist George Dawe, is one of hundreds of portraits he painted of celebrated generals from the War of 1812; Fanciful rosettes, emblems, and military badges decorate the Christian Lacroix Cocarde Reglisse wallpaper from the French company Christian Lacroix, available through Designers Guild. Photo: Left photograph by Vladimir Terebenin; ©The State Hermitage Museum. Right photograph courtesy Designers Guild. 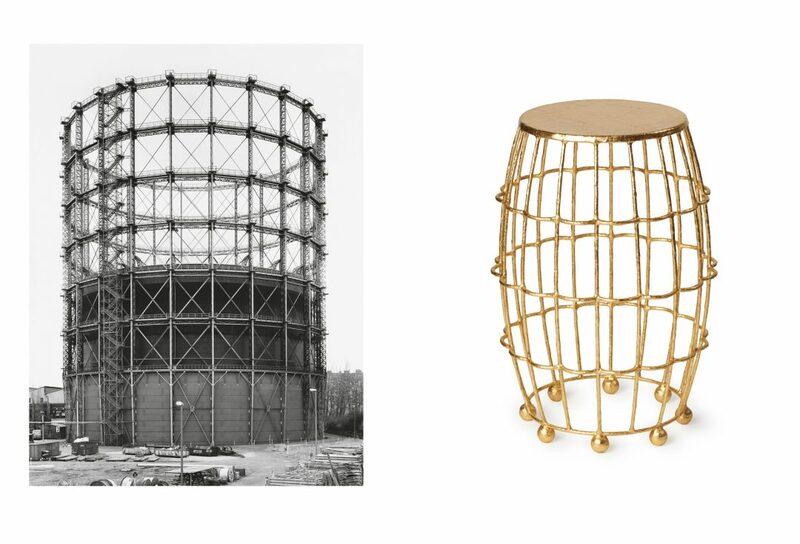 Best known for their “typologies” of industrial structures, German photographers Bernd and Hilla Becher transformed heretofore banal industrial structures into cathedrals of modernity, as seen in this 1992 gelatin silver print of a gasometer, Gasbehalter, Berlin-Schoneberg; San Francisco, California-based Fisher Weisman’s Gilded Cage occasional table, available through Dennis Miller Associates, is handcrafted in steel with a gold leaf finish. Photo: Left photograph ©Estate of Bernd and Hilla Becher; courtesy Schirmer/Mosel. Right photograph by Mark Joann; courtesy Fisher Weisman. 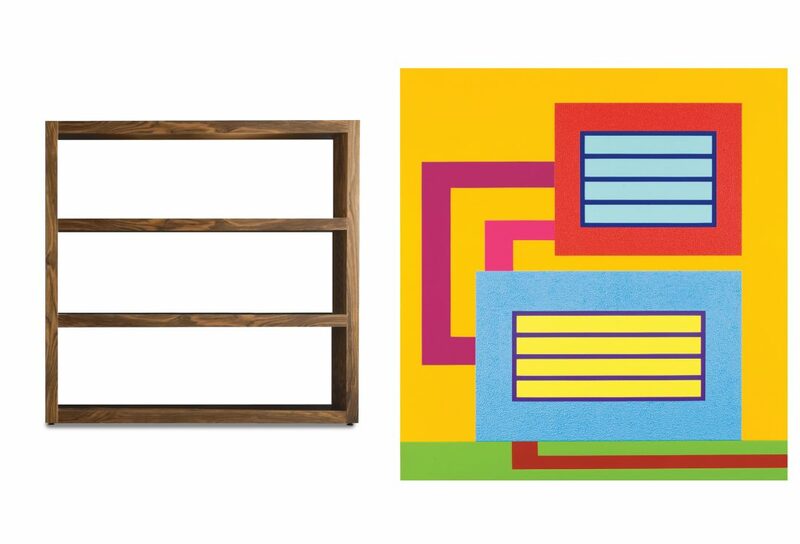 The clean lines and strong angles of the Johns bookcase, designed by the Italian architect Rodolfo Dordoni, define the timeless essence of the 1999 collection from Italian furniture manufacturer Minotti; American artist Peter Halley uses the language of geometric abstraction in his 2007 painting, One Step Beyond, to visually describe the structure of social space. 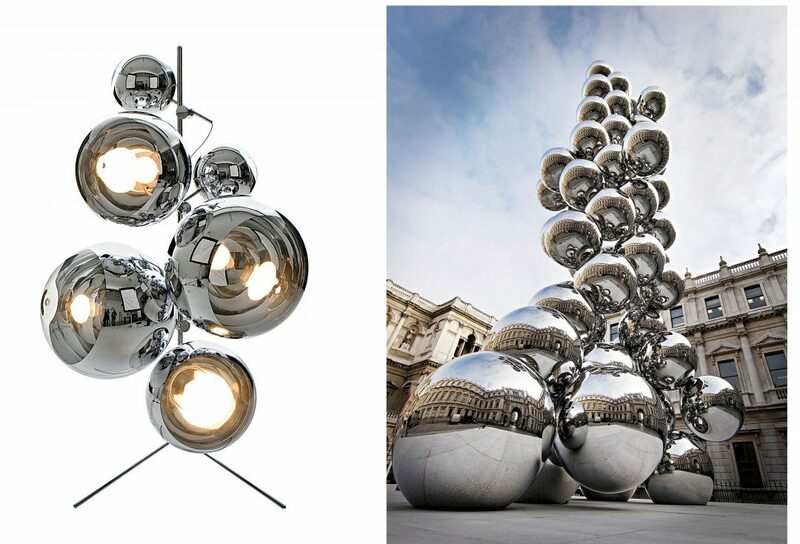 Photo: Left photograph courtesy Minotti S.P.A., Italy. Right photograph courtesy artist. The rich teak-wood and hand-woven water hyacinth used for the chest and dining chair are the basis of the Black Palms collection, just introduced by Ralph Lauren Home; Vincent Van Gogh’s 1889 post-impressionist masterpiece Bedroom in Arles shows the Dutch painter’s interpretation of the rustic simplicity of his room in the south of France. Photo: Left photographs by Antoine Bootz; courtesy Ralph Lauren Home. Right photograph by Eric Lessing/Art Resource, New York. 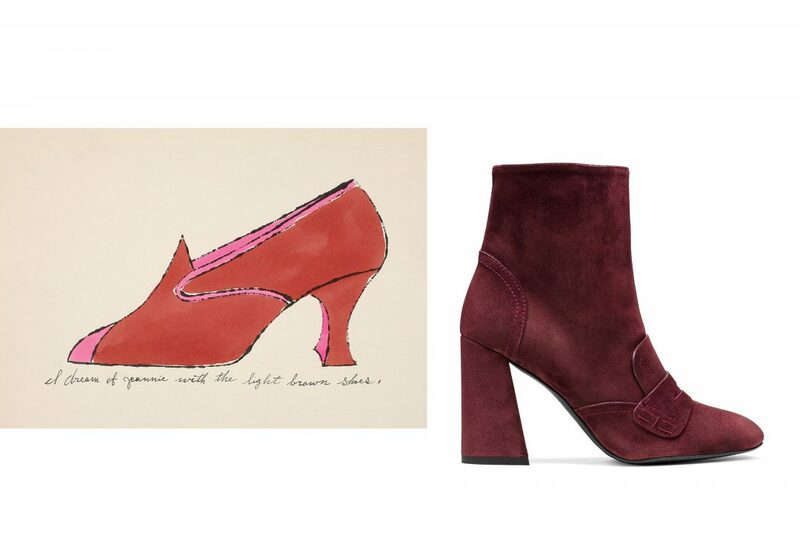 Pop artist Andy Warhol originally worked as an illustrator, creating advertisements such as I Dream of Jeannie with the Light Brown Shoes for New York shoe brand I. Miller; The Mod-inspired angled block heel on Stuart Weitzman’s Moxanne bootie, in Chianti velour, puts a contemporary twist on the classic loafer. Photo: Left photograph ©2016 The Andy Warhol Foundation for the Visual Arts, Inc./Licensed by ARS. Right photograph courtesy Stuart Weitzman. 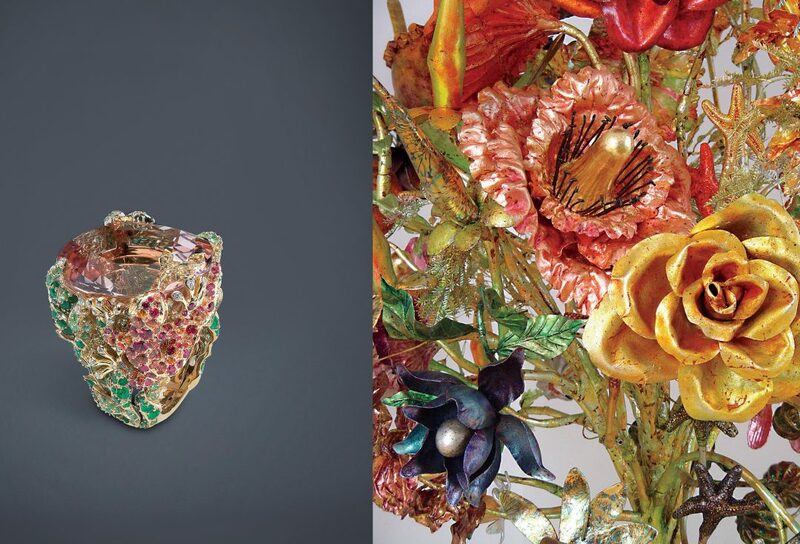 The grand costume parties of 18th-century France inspired the extravagant colors and whimsical natural design of the Salamandre ring from Dior’s Incroyables et Merveilleuses collection; The fanciful bouquet in Joanne Carson’s Puppet’s Dream (detail), comprised of thermoplastic and fiberglass flowers adorned in vibrant oil paint, represents the universal shift from organic to synthetic nature. Photo: Left photograph courtesy Dior. Right photograph courtesy artist. 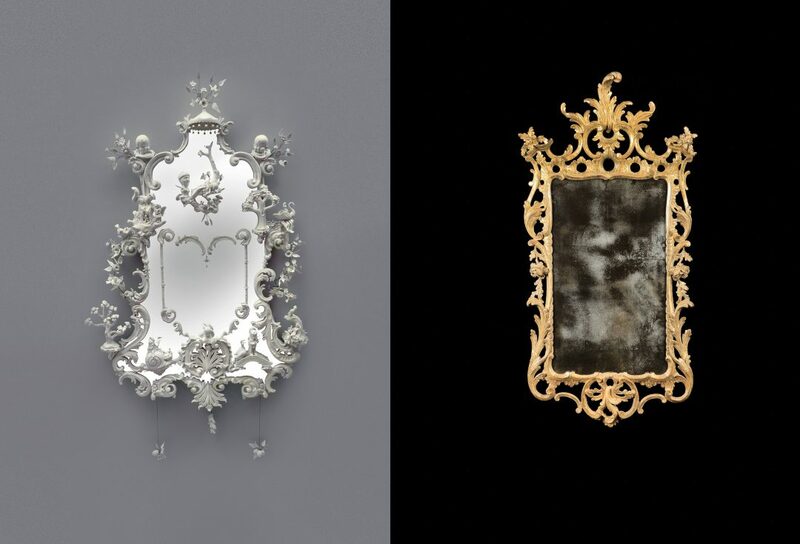 Beth Katleman portrays popular culture iconography in a traditional English Chippendale style in her 2015 porcelain installation The Enchanted Hunters: Narcotic Dream, available from Todd Merrill Studio; Pierced foliate and floral designs decorate the 18th-century George III giltwood mirror from Hyde Park Antiques. Photo: Left photograph courtesy Todd Merrill Studio. Right photograph courtesy Hyde Park Antiques, Ltd. The entrance to the apartment building, on Premyslova Street in Prague, Czech Republic, is an example of the dynamic designs of cubist architect Josef Chochol; The striking case and bracelet of Audemars Piguet’s Diamond Fury wristwatch feature a mesmerizing 4,635 brilliant-cut diamonds. Photo: Left photograph by Alex Went; courtesy The Prague Vitruvius. Right photograph courtesy Audemars Piguet. The handcrafted Luminus Earcuffs by Hueb feature lustrous diamonds set on spikes made of 18k gold that create an explosion of celestial shapes; The 1990 The Seventh Examined Life, by the New York-based Neo-Expressionist painter Ross Bleckner, is an otherworldly depiction of abstract constellations scattered across the night sky. Photo: Left photograph courtesy Hueb. 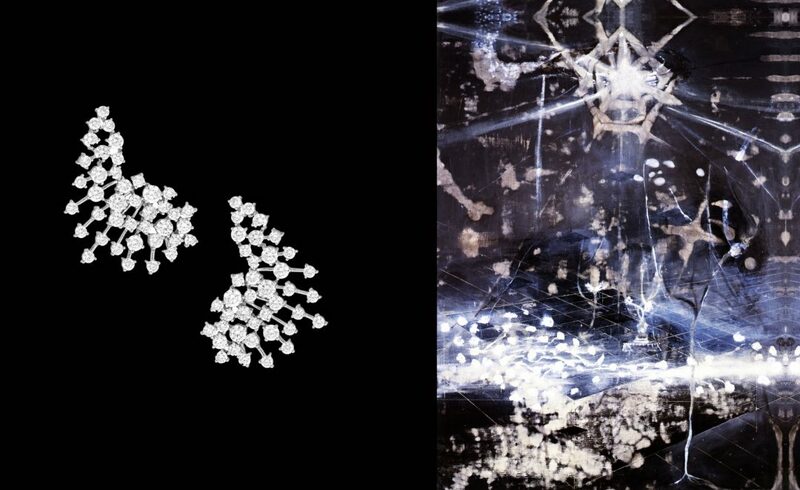 Right photograph by Zindman/Fremont; ©Ross Bleckner; courtesy Mary Boone Gallery, New York. American Photographer James Welling layered historic and contemporary images to illustrate the history of the Wadsworth Atheneum Museum of Art, in Hartford, Connecticut, in this composite photograph titled Dancers; Inspired by ikat, an Asian weaving and dyeing technique, Hermès’ Voyage en Ikat large vase blends more than 20 hues of sapphire, ruby, and emerald to convey this intricate design. Photo: Left photograph courtesy artist and David Zwirner, New York/London. Right photograph by Studio des Fleurs; courtesy Hermès. 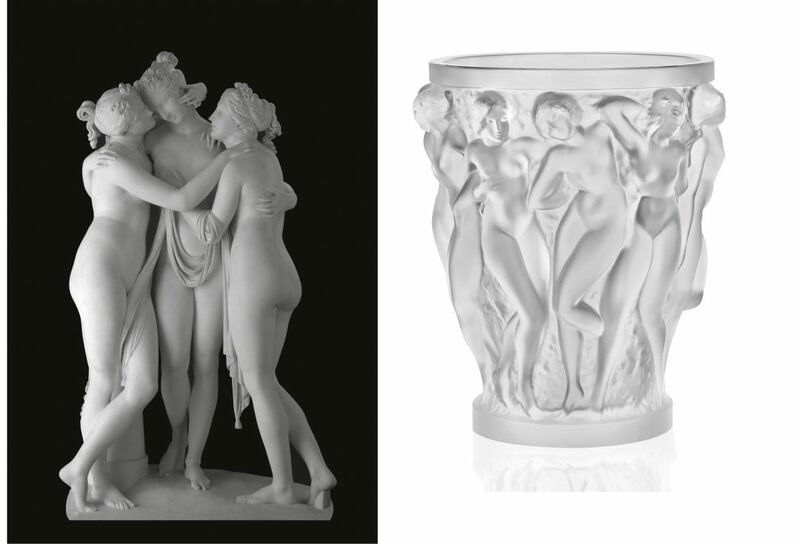 The three mythological goddesses of beauty, mirth, and abundance, tenderly embrace in 19th-century Italian sculptor Antonio Canova’s marble sculpture, The Three Graces, to symbolize the Neoclassical ideal of feminine charm; The satin-finished crystal that comprises Lalique’s Bacchantes vase personifies the soft skin and sensual curves of the intertwining priestesses of Bacchus. Photo: Left photograph ©Victoria and Albert Museum, London, England. Right photograph courtesy Lalique. 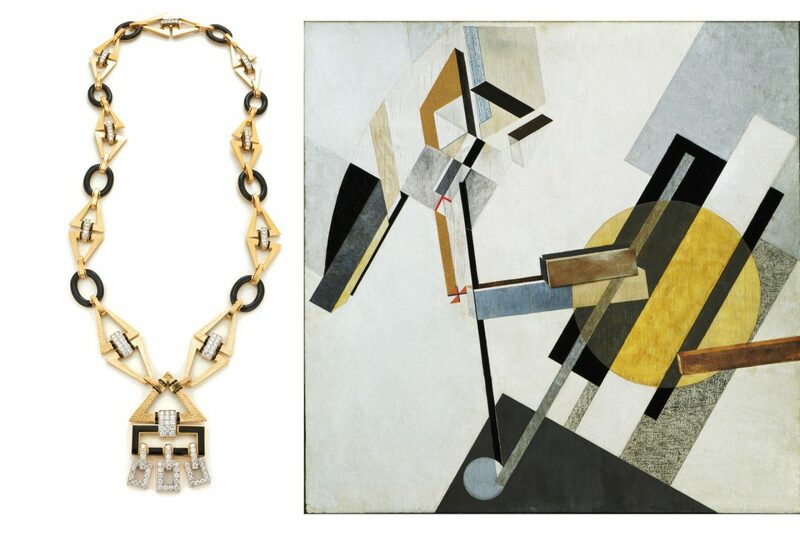 Ceremonial Necklace by the American jeweler David Webb, which features black enamel, brilliant-cut diamonds, 18 karat gold, and platinum, embraces the designer’s distinctive art deco aesthetic; Russian artist El Lissitzky utilized the geometric lexicons of architecture and the Suprematist movement to create his 1920s abstract artwork, Proun 19D. Photo: Left photograph courtesy David Webb. Right photograph ©The Museum of Modern Art. 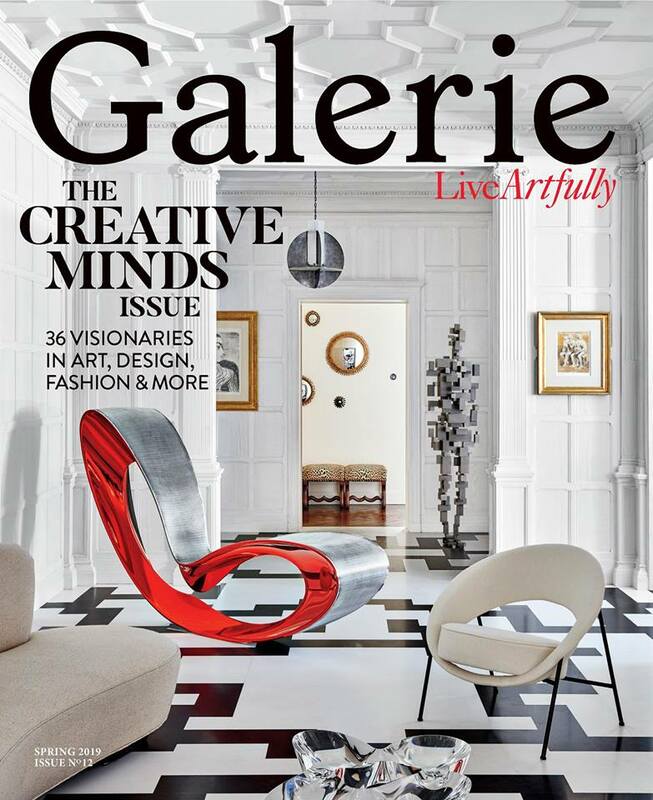 Licensed by Scala, Art Resource. El Lissitzky artwork ©2016 Artists Rights Society (ARS), New York.